Superbook takes Joy, Chris, and Gizmo back in time to meet Gideon - an unlikely hero hiding from enemies who have taken over Israel. The Angel of the Lord appears to Gideon, and he is transformed from a coward into a bold leader. Gideon faithfully follows God's instructions, even when others doubt his wisdom. The children discover how to find courage to face any challenge. 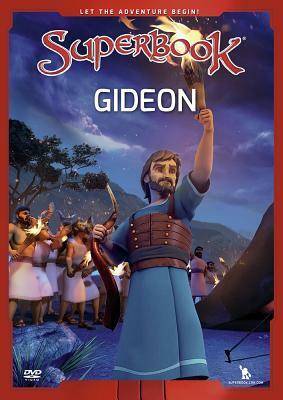 Superbook: Gideon by Superbook was published by Charisma House in November 2017 and is our 12971st best seller. The ISBN for Superbook: Gideon is 9781943541362. Be the first to review Superbook: Gideon! Got a question? No problem! Just click here to ask us about Superbook: Gideon.